There are few things more divine than a perfect Rum & Raisin Brownie! Technically still one of your five-a-day, these rich brownies are loaded with rum-soaked California Raisins. Please do not be alarmed if the finished brownie sinks a little in the middle as the sinking is the price you must pay for a soft, fudgey, gooey brownie centre. The day or evening before you plan to bake these brownies, pour dark rum over California Raisins and allow them to soak. I cover my bowl with clingfilm and leave it somewhere fairly warm. To make the brownies, begin by melting the butter. You can either do this on the hob or in the microwave but, in either case, you should keep the heat low and go very slow to avoid burning. Weigh the dry ingredients into a mixing bowl. Add the melted butter and mix for until nicely combined. The mixture will look very grainy at this stage. Add eggs and vanilla extract. Beat the mixture for a further 2 minutes until smooth and glossy. Add flour to the mixture and beat briefly until combined. Finally, add your rum-soaked California Raisins, along with any bonus dark rum that may have collected at the bottom of the bowl. There is no sense in wasting rum. 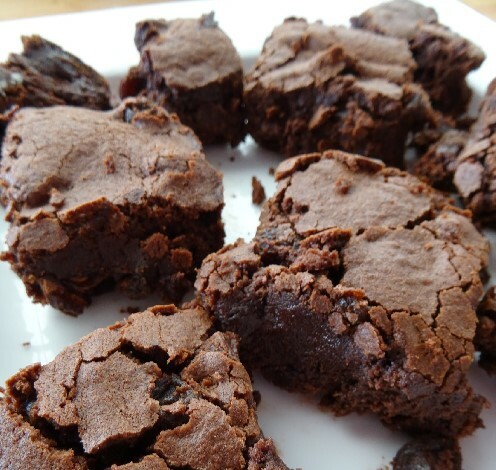 Pour the brownie mixture into a prepared cake tin or brownie tin. A metal tin will need to be lined with baking parchment, whilst a silicone one will not. Bake in a preheated oven for 20 minutes. 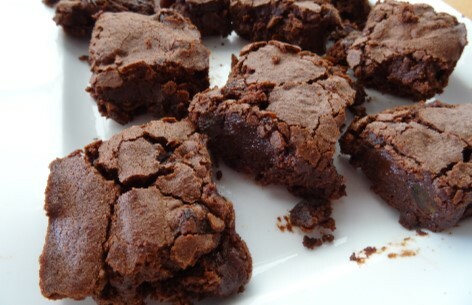 Do not worry if the brownie looks wobbly in the centre as it will firm up as it cools. Allow the brownie to cool completely in the tin before removing and cutting into slices.